Suicide is an issue that resonates deeply with me. I can no longer count the number of times my mother has flirted with, let alone attempted, to kill herself. It has been a sadly normal part of my life since I was about 6. Thus, it was not really shocking when I myself began to struggle with intense bouts of depression during my early teenage years. I have never made an actual suicide attempt, but I would be lying it I said I'd never thought about it. I've thought about it in great detail. Because to me, if I was ever to take that step. , I wouldn't fail at it. However, I've been incredibly, incredibly fortunate enough to always have someone there to pull be out of my depression before it got to that point. But I do understand, all too well, what it is like to stand on that precipice. So I would like to ask anyone who feels compelled to say that suicide is selfish or cowardly or the "easy way out" to sit back and really reflect on the privilege that such condemnations come from. If you can honestly say those things, you have obviously never seriously dealt with any mental health issues, or other issues, that truly make someone consider suicide. It is emphatically NOT selfish - what is selfish is demanding that someone else continue on living, enduring god only knows what mental, emotional, and/or physical torments, because it is easier for YOU, not them. The view of suicide as selfish is created by those left behind, who haven't fought the battles that the deceased did, and honestly, you have no experience with what they went through and no right to judge. Your pain at their suicide is YOURS to deal with, it is not their responsibility. Finally, today's events begs the question the of when are we, as a country, going to get serious about mental health issues? How many people have to die before we acknowledge that this is an epidemic in the U.S.? This isn't about drugs and addiction, about people being "bad" or "immoral" or "weak" - this is about people self-medicating with substances because there isn't adequate mental health care available and even when it is, that it has been so stigmatized that people are afraid to access it. 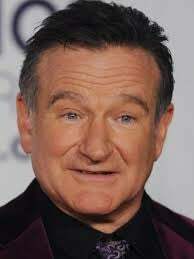 So in the wake of Robin Williams' suicide, I would implore you to be kind everyone you meet, because you don't know who is fighting such a battle inside them at any point. You don't know, and you can't, and thus you need to give everyone the benefit of the doubt, and try to see their actions through their eyes, not yours.